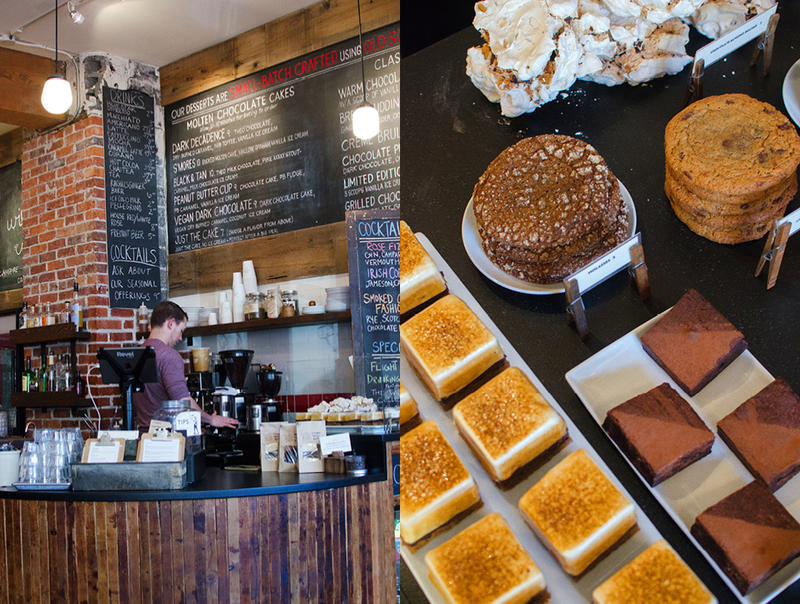 Known as one of the world’s capitals of coffee, Seattle has developed a thriving food scene to go with all those cappuccinos–over 3,500 restaurants strong, and counting. 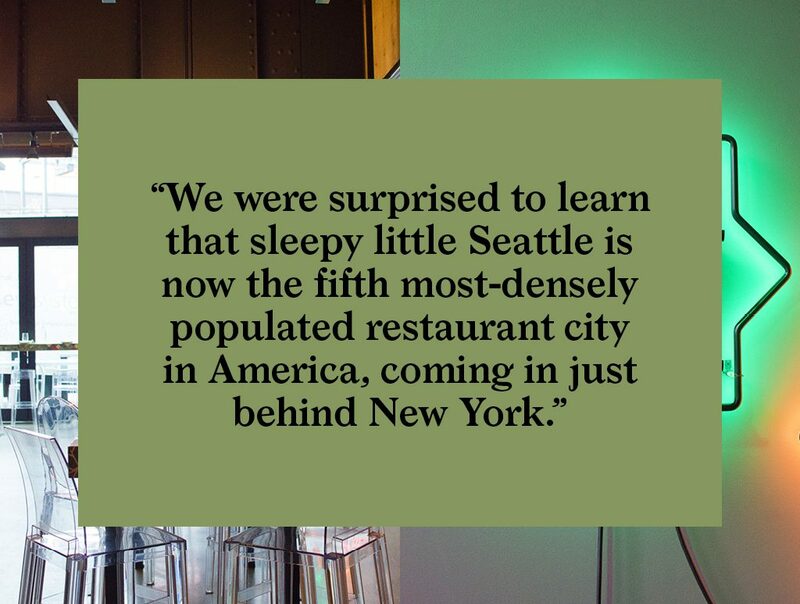 We were surprised to learn that sleepy little Seattle is now the fifth most-densely populated restaurant city in America, coming in just behind New York. With a population rising along with the fortunes of such local industry titans as Boeing, Amazon, Microsoft, and Starbucks, as well as a plethora of startups, someone’s gotta feed all those people! 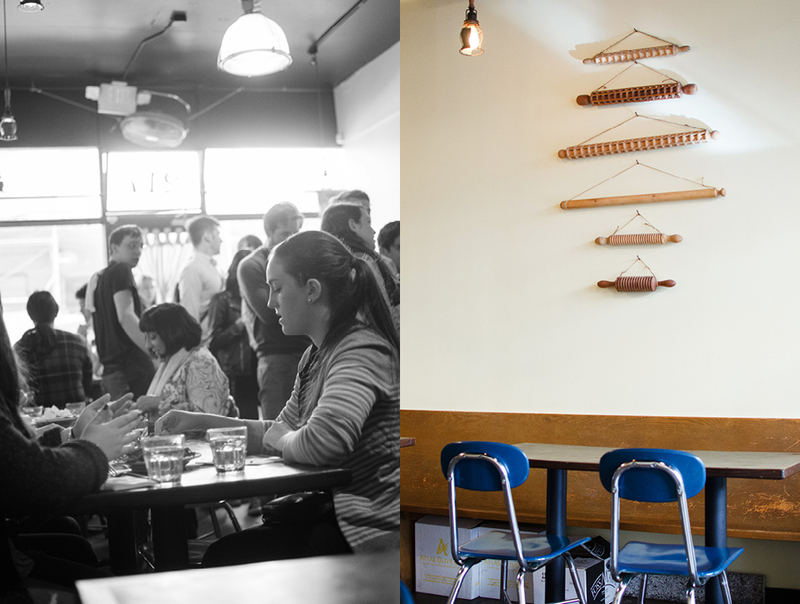 As a result, so many restaurants in Seattle are opening, and closing, each week, that it’s hard to keep up. 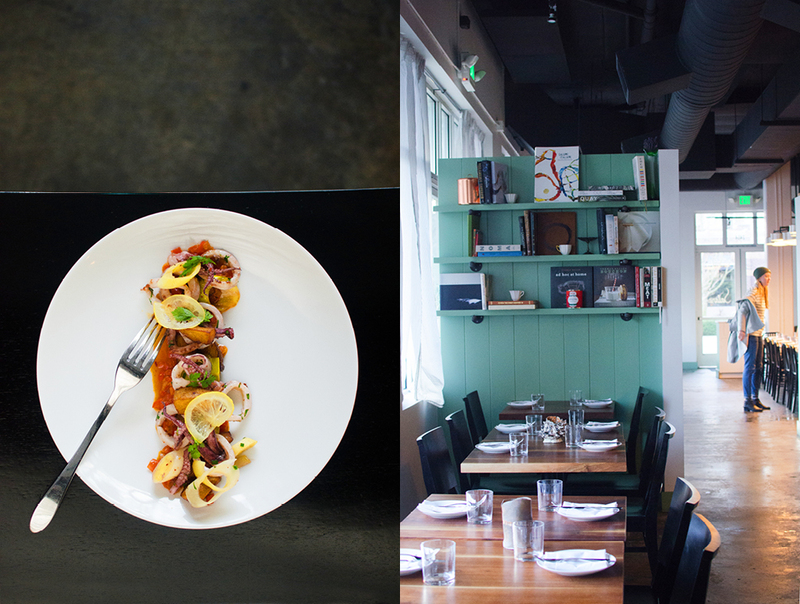 We put our ear to the ground and came up with our favorite four for Seattle dining. 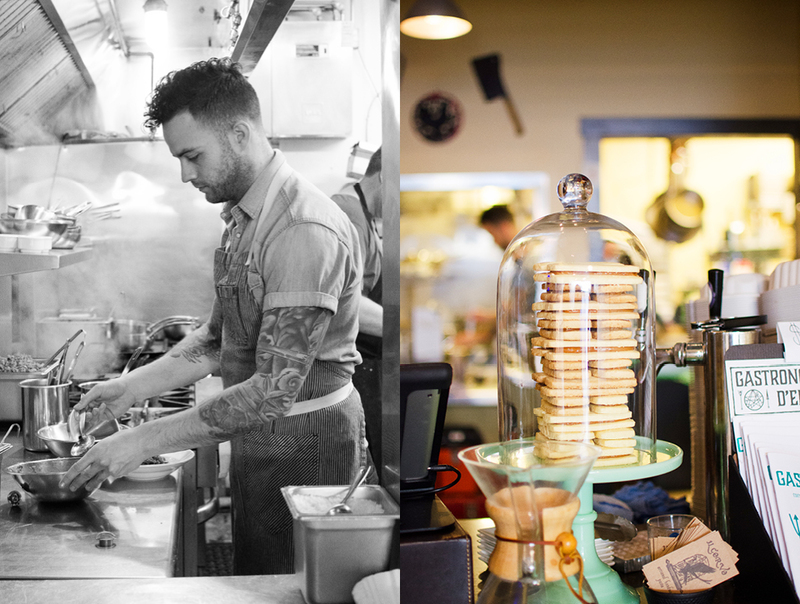 We think these places will stand the test of time so if you make regular visits to Seattle they could become go-to dining destinations. Just uphill to the east of downtown is the rapidly developing Capitol Hill area. On Melrose Avenue, between Pike and Pine (just across from the popular food destination, Melrose Market), we booked in for dinner at Mamnoon. 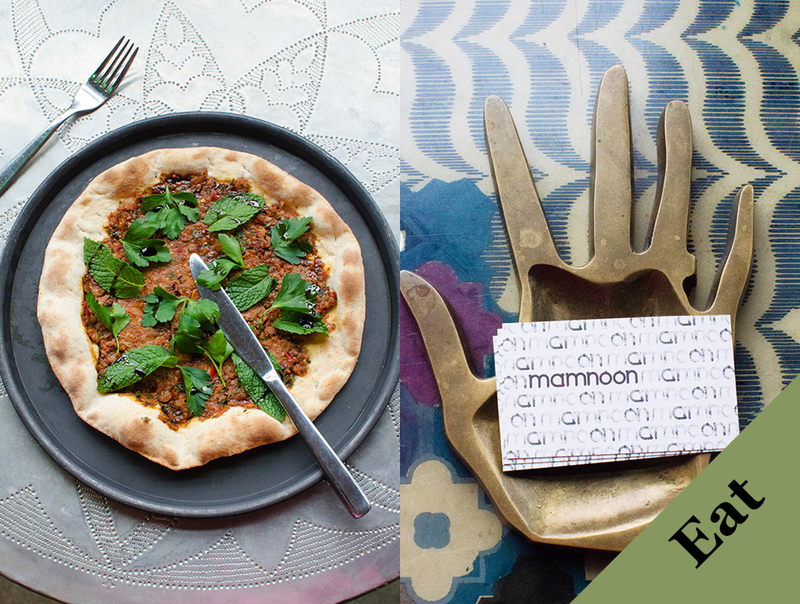 Specializing in Middle Eastern cuisine, Mamnoon is not only an eating destination but a place in which to immerse yourself in the culture of the East. Wassef and Racha Haroun, came to study in the US from Syria. After completing their degrees, they made their way abroad pursuing various jobs in the software industry. 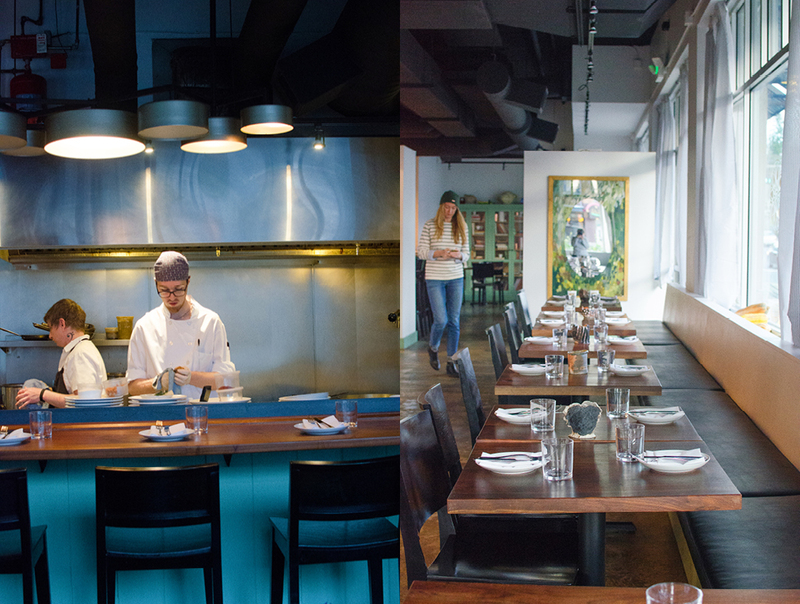 Eventually, their work led them to Seattle, and in 2013, with an opportunity of some prime space in a friend’s building, they made a dramatic career change and opened a restaurant. 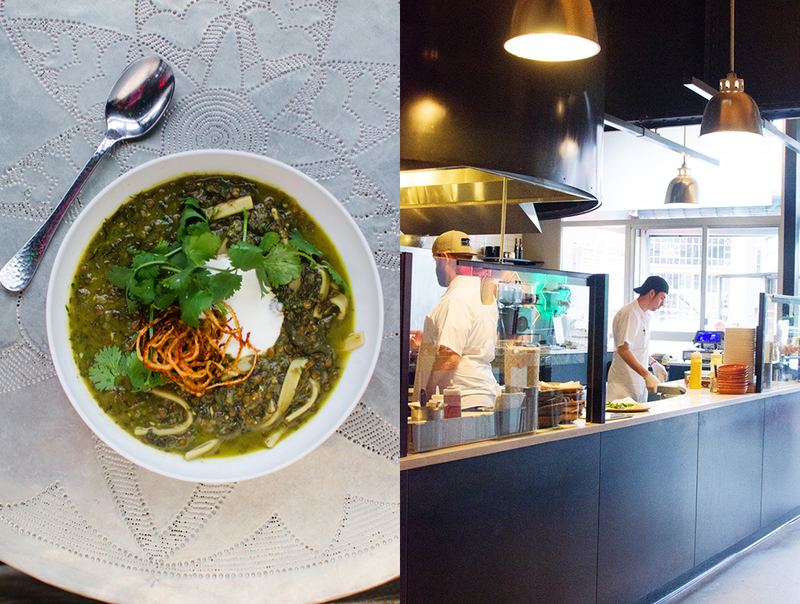 Their idea was to bring the real flavor of the Middle East to Seattleites in a modern environment. 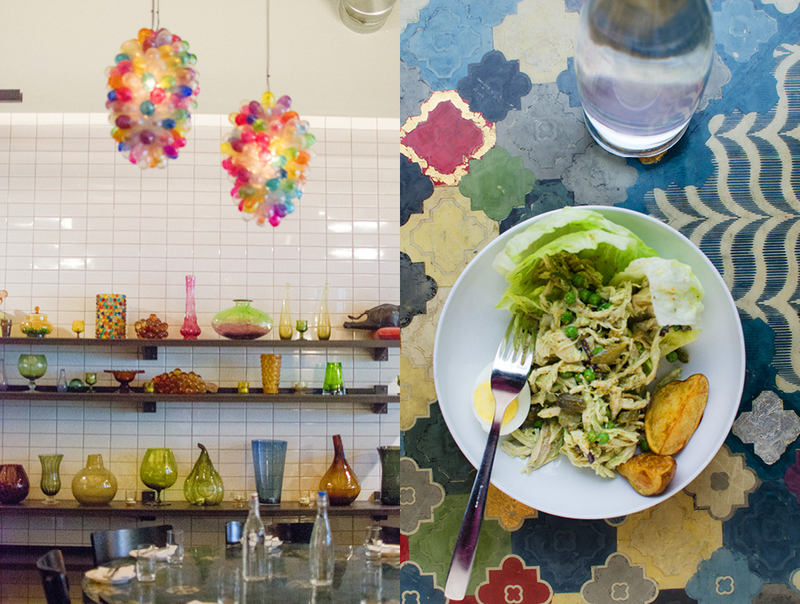 The Middle Eastern theme runs the gamut from traditional furniture and decorations to striking installations that would be quite at home anywhere in eclectic Seattle. 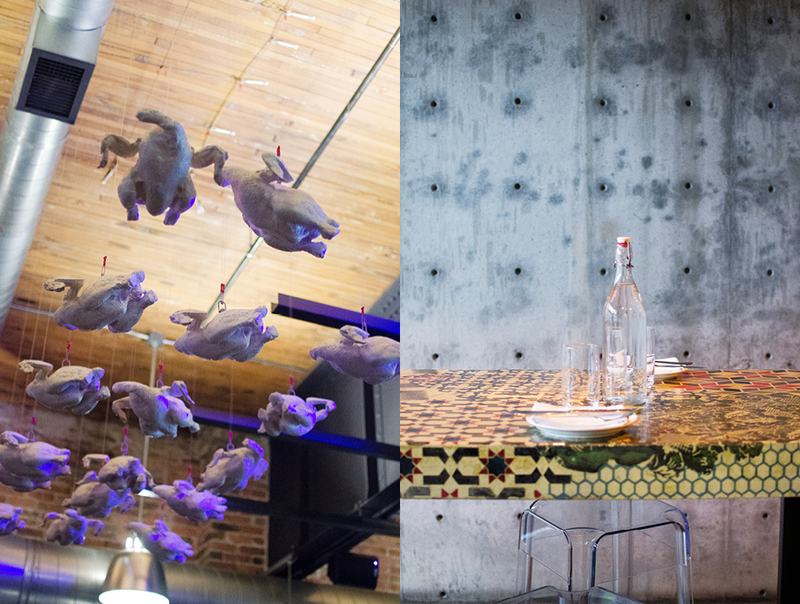 One example: Our meal was served beneath a flock of plucked chickens (not real) as if in full flight out of the kitchen. A good part of the menu focuses on Middle Eastern comfort food, what you would imagine being served if you were invited to someone’s home. Other dishes are more street-food based, things like falafel sandwiches, that you find all over the Middle East. But in the case of Mamnoon, everything is handmade on site, so things you think you are familiar with, like a pita wrapped sandwich, takes on a whole different fresh-flavor profile. It’s familiar but oh so different. 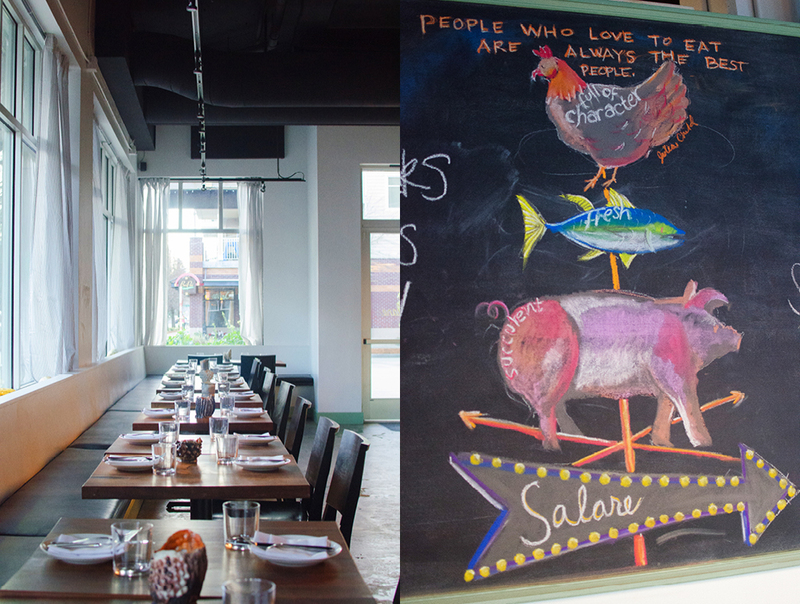 Since September 2015 The Harouns have engaged a great ally in their culinary endeavor, Chef Jason Stratton, who earned his chops at the local Italian culinary favorites Spinasse and Artusi. Jason quickly adapted to and embraced the switch to Middle Eastern cuisine, working closely with Racha to keep the menu true to the home-cooking theme. With the issue of the Syrian crisis close to their hearts, Wassef and Racha are vocal in raising awareness about what is happening in their former homeland, with regular fundraisers. In recent years they have been able to contribute a substantial amount to aid Syrian refugees. Check out the website for announcements about how you can participate. 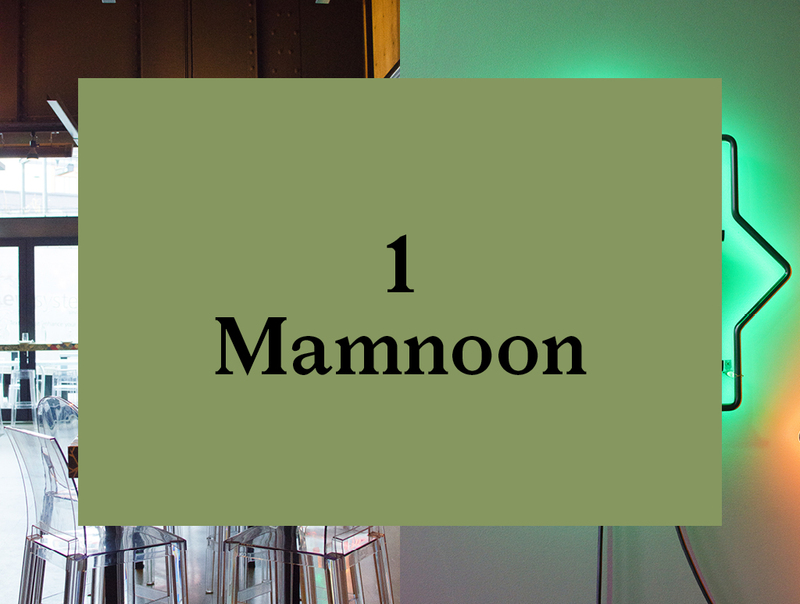 Taking off on the street-food theme, Mamnoon also has a walk-up order window for getting a quick bite on the go. But plan ahead. Regular lunch goers start lining up early at the take-out window. Next stop is the district of Ballard, just a bit northwest of downtown Seattle. Ballard was its own town until 1907. But due to some bad planning back in the day, the water and sewage systems failed and the township asked to be annexed by the city of Seattle. Historically Ballard was home for the area’s seafaring Scandinavian population who moved to Ballard to participate in its salmon fishing industry. 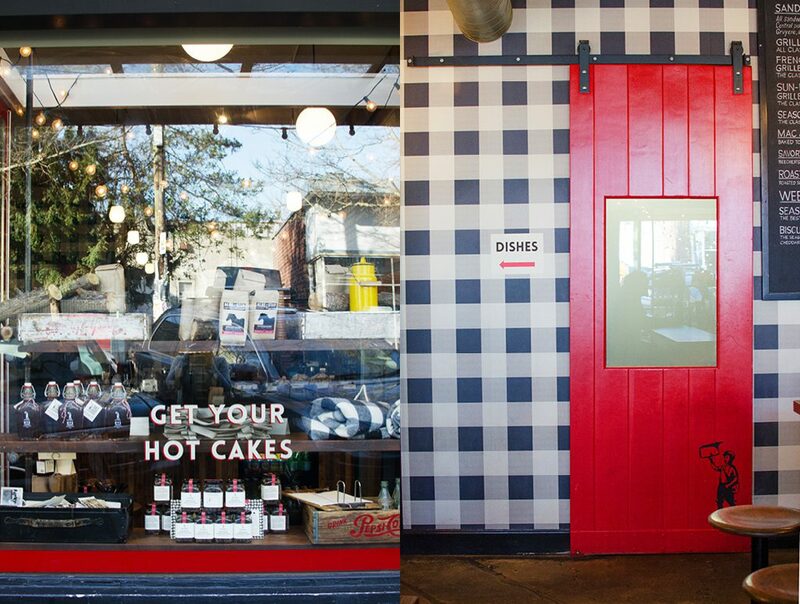 These fishing and other sea-based industries relied on an infrastructure of shipyards, warehouses, and small manufacturing buildings, and the quaint character of the Ballard today is very much a result of that architecture established over 100 years ago. Now those original buildings have been re-inhabited by trendy stores, restaurants, galleries and small “start-up” businesses. 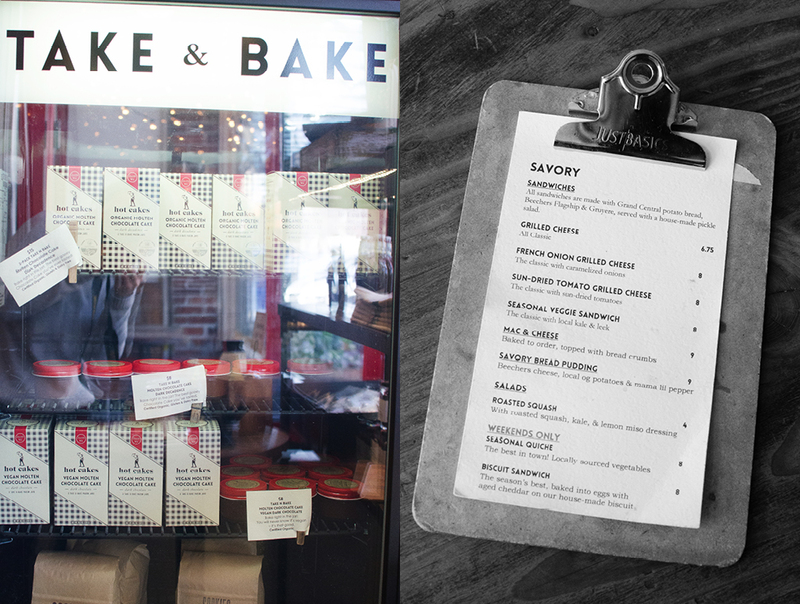 And with all the traffic brought in by the new occupants, a vibrant dining and coffee scene has emerged. 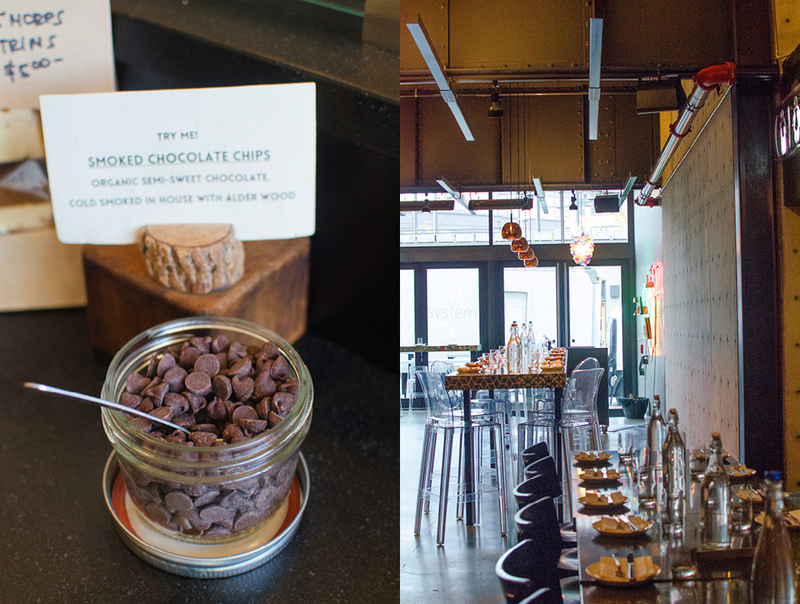 We are here to sample the delicious chocolate treats created by the Hot Cakes Molten Chocolate Cakery, founded in 2008 by Autumn Martin and named for Autumn’s original chocolate confectionary innovation, the Take-n-Bake Molten Chocolate Cake in a Mason Jar. 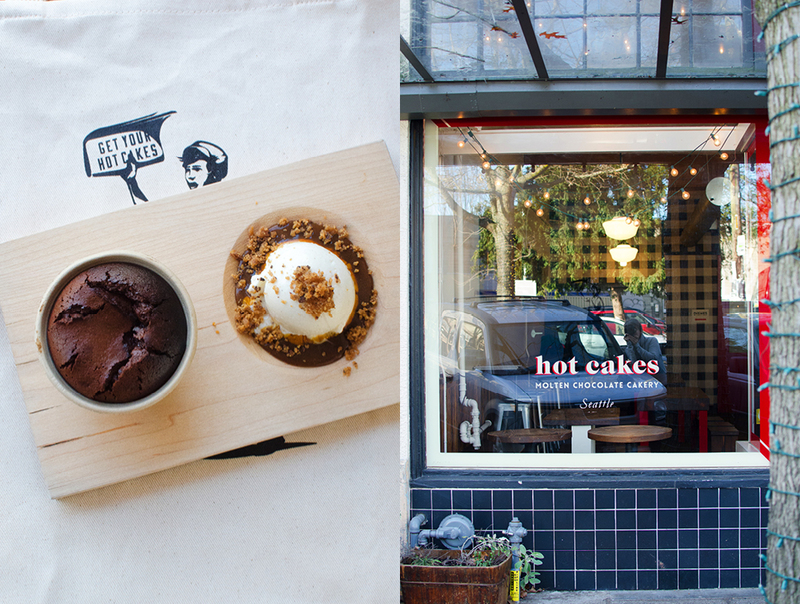 Today Hot Cakes crafts a variety of organic, classic American comfort foods and desserts, and other innovative confections, in their Ballard outpost. The idea for the “Take-n-Bake Molten Chocolate Cakes” comes from a dessert Autumn concocted for a charity dinner she was catering. The cakes were so well-received guests practically fell out of their chairs and the orders started rolling in. Autumn was then Head Chocolatier at Theo Chocolate, and with the success of her new concoction she decided it would be fun to start a small side business. Thus Hot Cakes was born. 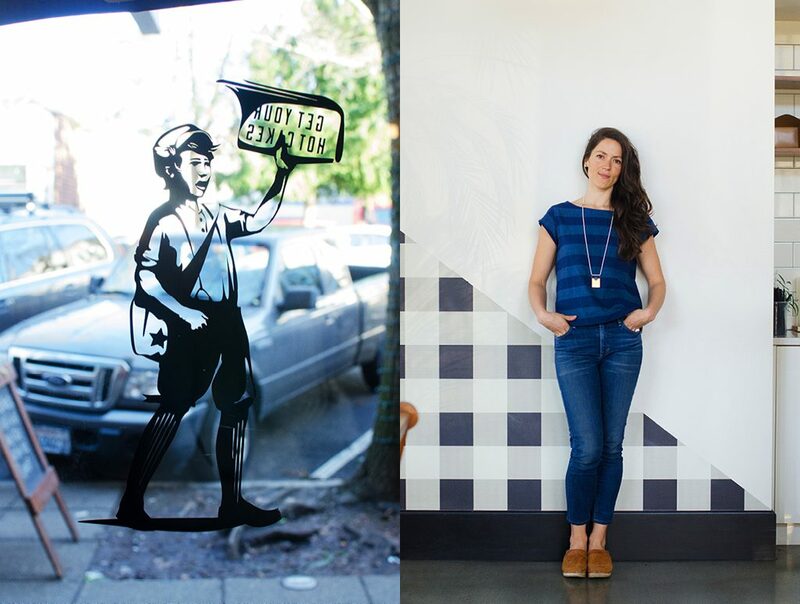 With a taste for entrepreneurial success from her tiny venture, Autumn took a risk and in 2009 left her much-loved job at Theo Chocolate. Taking some time to plot her next move, Autumn headed to Spain for a four-month stint of organic farming and rock climbing. Upon returning home, she was ready to put her plan into action, focusing 100% of her energy on developing the new Hot Cakes brand and producing innovative desserts based on the produce of local and organic farms. 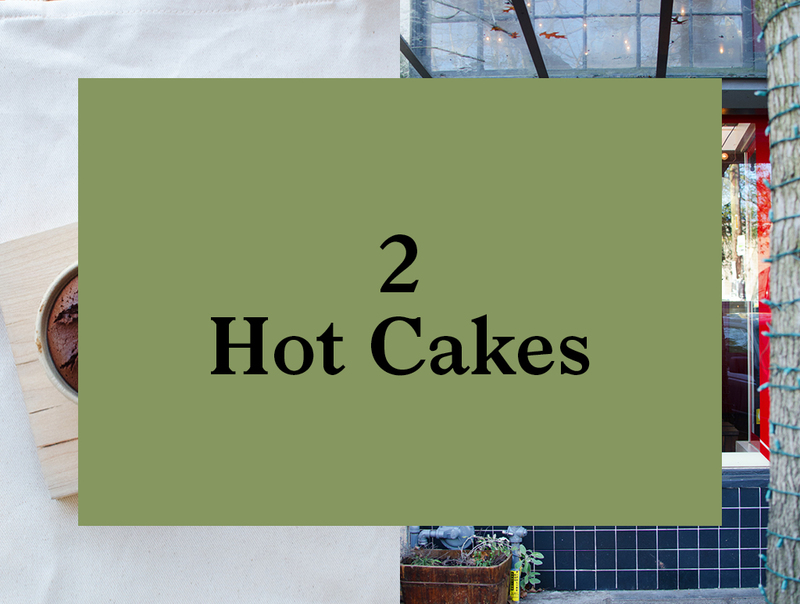 Now with two Hot Cakes locations, Autumn has become a fixture on the local dessert scene, with customers lining up daily to eat in or take home her Hot Cakes treats. 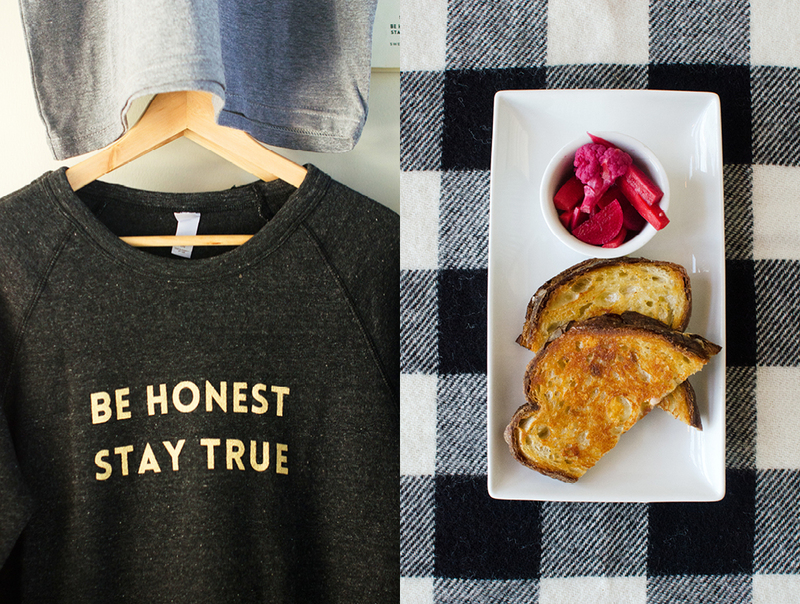 In the Ballard location, you can even enjoy lunch before your dessert, with yummy grilled cheese and pickles. But definitely leave room for a dessert or two. North of Seattle is the Ravenna district, named after the Italian town of the same name, making this the perfect place for Eduardo Jordan’s first restaurant, Salare. 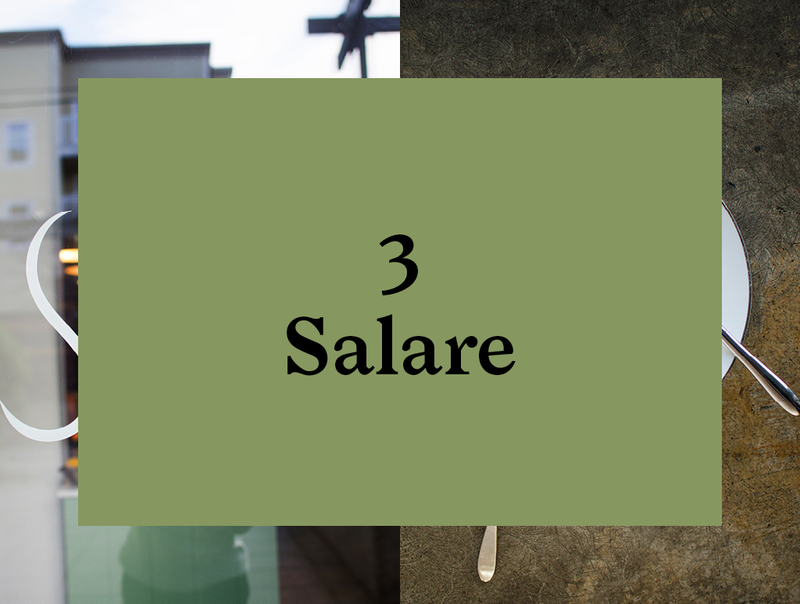 Deriving its name from the Latin word for salt, “sal”, Salare opened its doors in 2014, becoming a great addition to the Seattle scene. 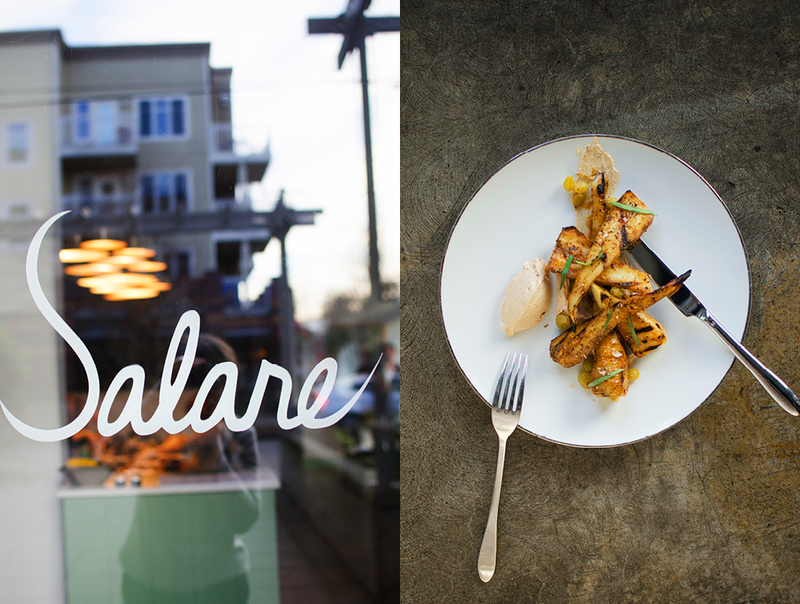 A young exciting kitchen crew, long communal tables, and most important, and inspiring menu drawing on inspirations from America’s South, Africa, Europe and the Caribbean, makes Salare totally unique in Seattle’s food scene. 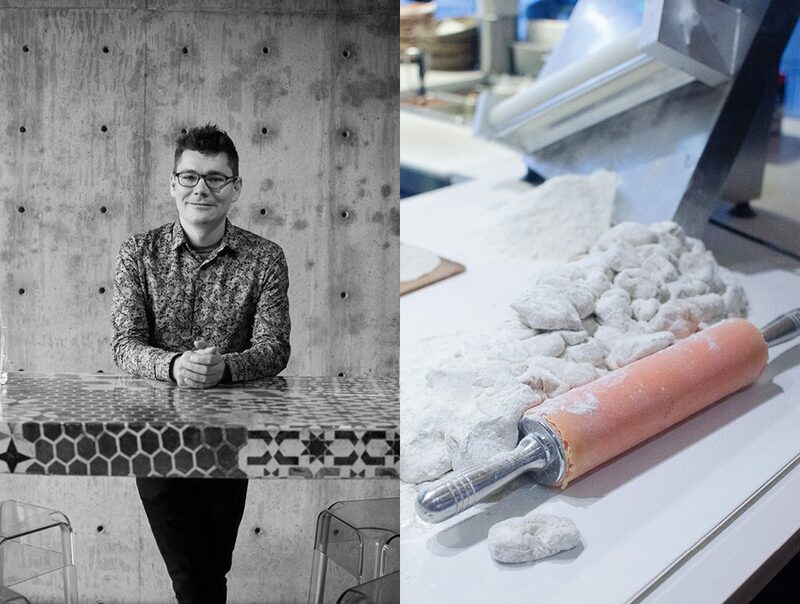 Jordan is a real culinary craftsman and much of the menu is focused on ancient food preparation methods. Pickling and smoking figure prominently in Jordan’s kit of flavor-enhancing techniques, resulting in dishes with some wonderful food and flavor combinations. Jordan hails from St. Petersburg, Florida. 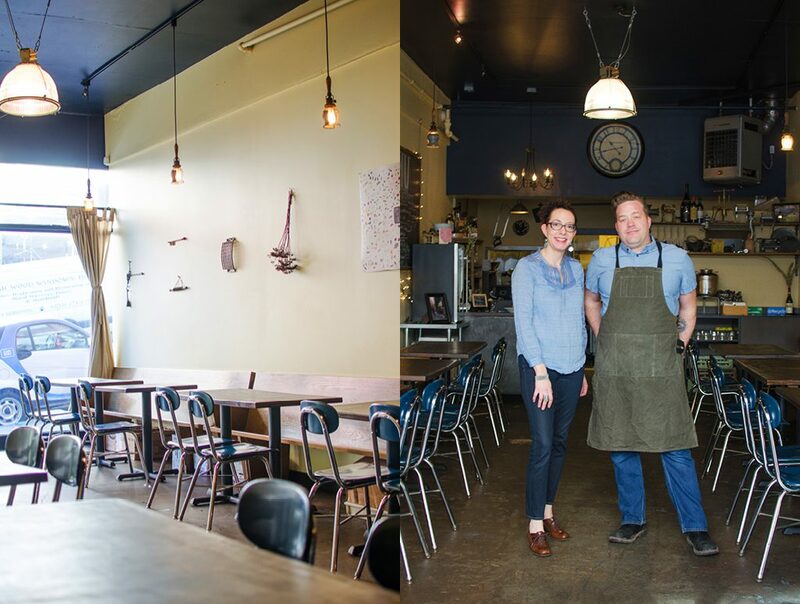 But after a stint in Florence, Italy, mastering the art of salumi making, Jordan and his wife decided to move to the country’s opposite corner in the Pacific Northwest. And Seattle is the beneficiary of Jordan’s arrival. 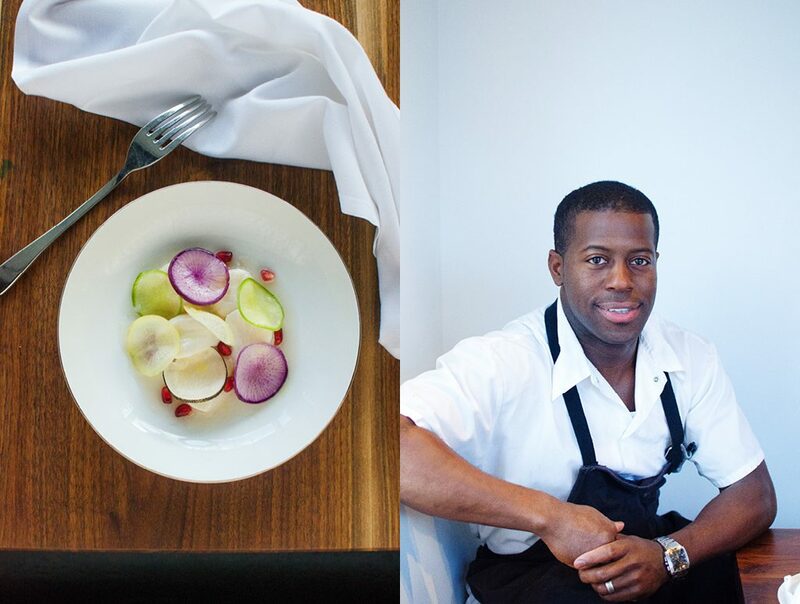 Especially interesting is Jordan’s love of working with vegetables in his dishes. Don’t get me wrong, a lot of chefs these days embrace the world of vegetables. But Jordan really puts them front and center, often making them the feature of the plate. His plates are so colorful: equally a treat for the palate and the eye. 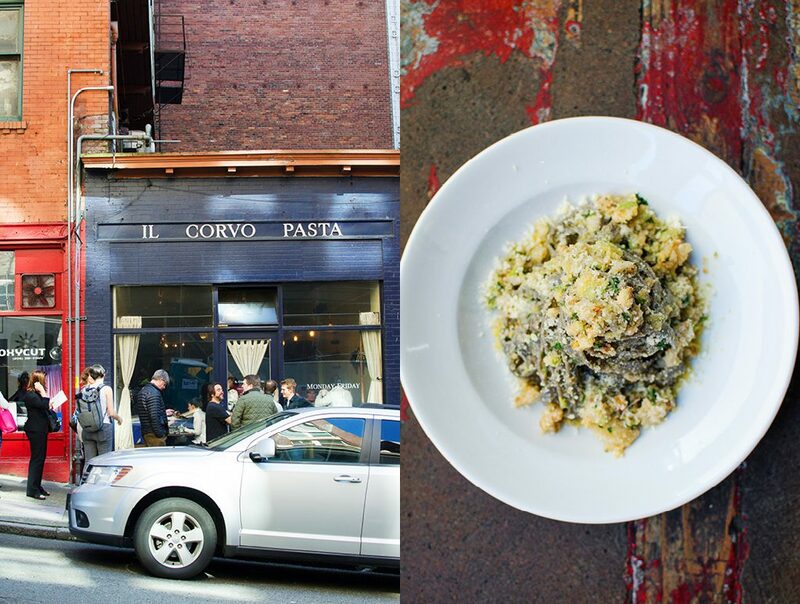 Back downtown, in the historic Pioneer Square neighborhood, our last stop is Il Corvo. 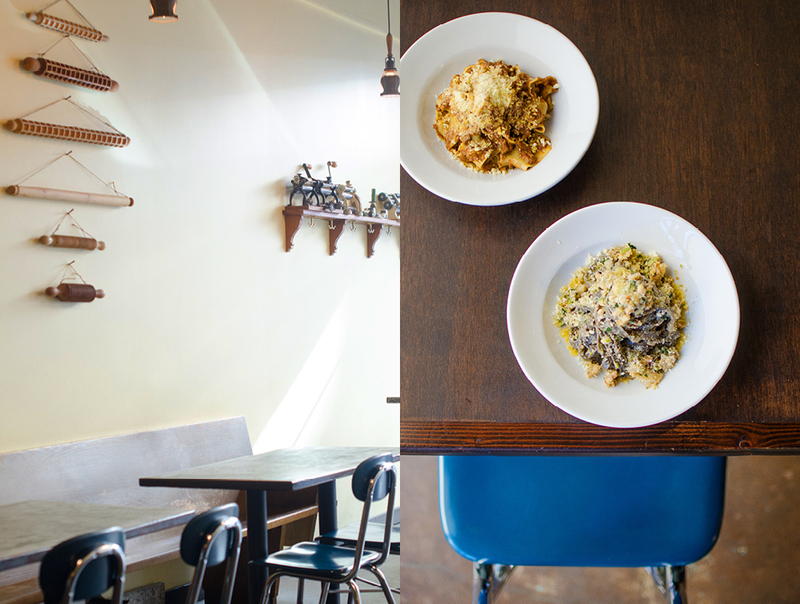 This lunch-only place offers three pasta dishes that change daily, Monday to Friday. 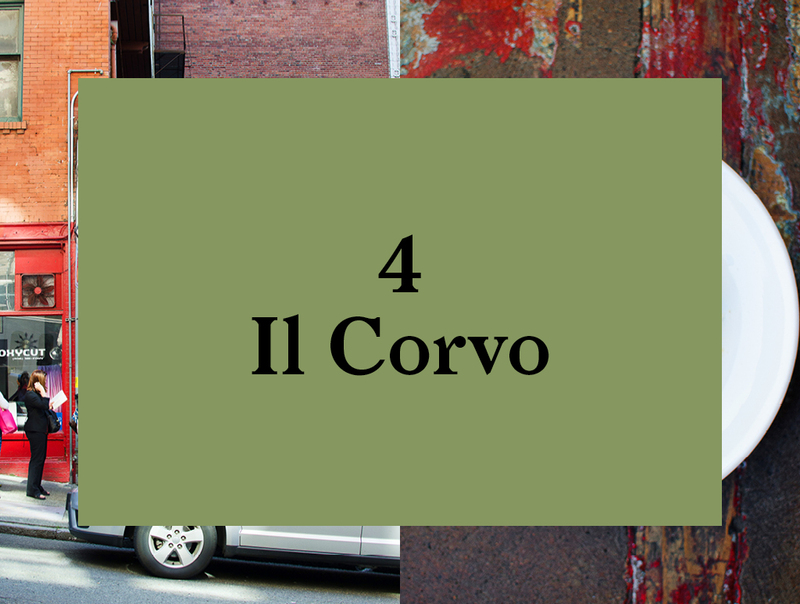 What I like about Il Corvo is its singular focus on doing one thing and doing it better than anyone else, by a long shot. 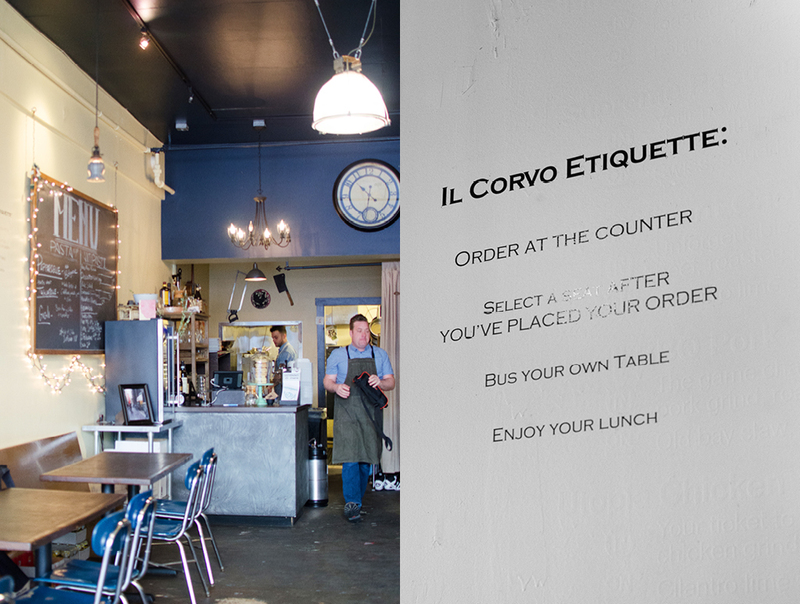 Eating at Il Corvo is like a lunchtime visit to Italy: taking a bite, you are transported. 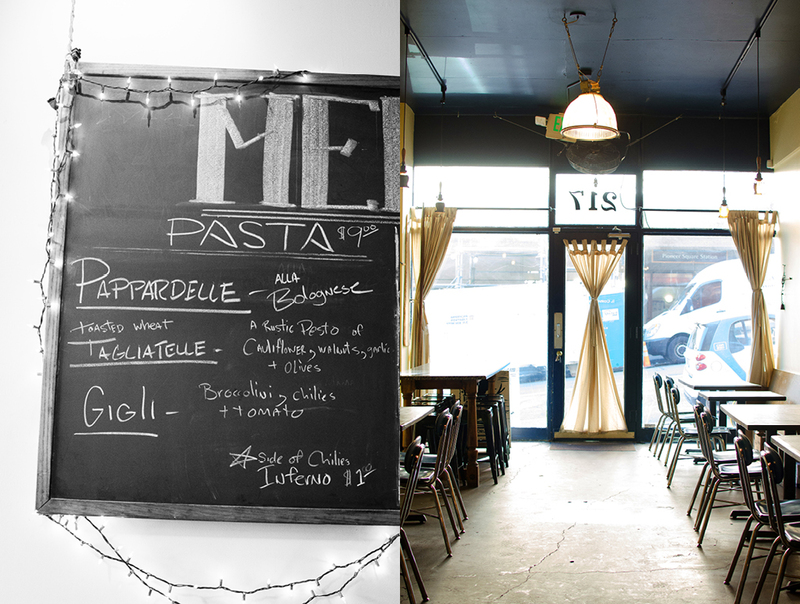 Proprietor and chef Mike Easton always had a passion for Italian food in general, and pasta in particular. With a sense that to truly perfect his craft he needed to go back to its origins, Mike headed to Italy and worked his way up in the kitchen hierarchy under the tutelage of real home-cooking Italian masters. Mike then headed back to Seattle and, along with his wife Victoria, decided to open a restaurant. With years of stressful kitchen work experience behind him, Mike wanted to find a way to practice the craft he loves, but with some measure of a family life. Culinary craft and family life often don’t go together easily, but Mike and Victoria came up with a plan: prioritizing what they enjoyed doing the most, at a reasonable time of the day, and just during the week. 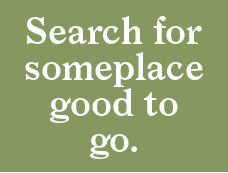 It’s a bit of a contrarian plan for a restaurant. Seven days a week and long hours tend to be the recipe if you have any hope of success in this business. But their plan totally worked. 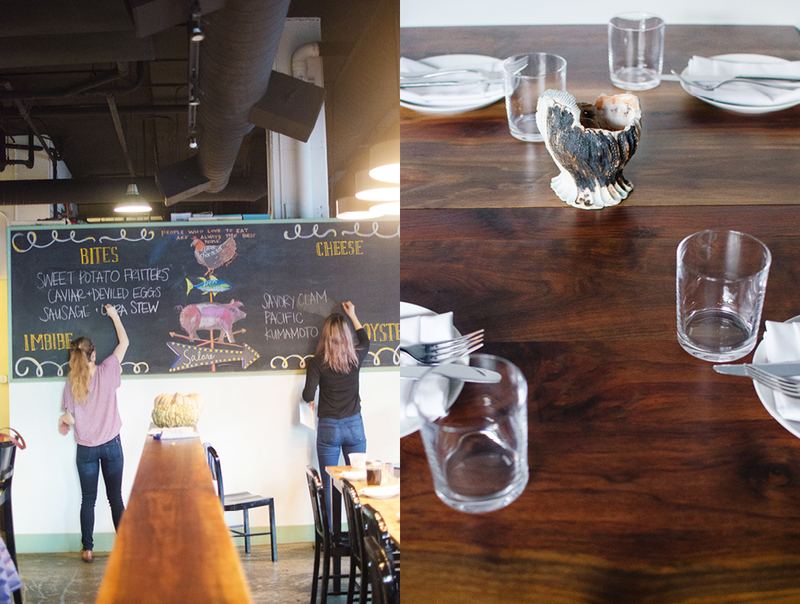 Soon after opening their simple storefront venue on James Street, crowds started signing up for lunch, and it’s been that way ever since. Inside, there is no table service, but the crowd of regulars seems to have the system worked out in a kind of controlled chaos. For me, this too added to the Italian feel of the place. One of my favorite restaurants in Rome is also open only for a few hours at lunch, and when it is in operation, the swirl of activity seems like a mad house, at first. But after a few visits, and learning the rules, it all works like clockwork. It is very comforting to spend lunch with a group of like-minded strangers enjoying the absolute best food Italy has to offer. At Il Corvo it works like this: Everybody lines up and you place your order with Victoria; once you have ordered (not before!) you sit down at a table; your pasta comes out soon after you sit down; you eat, chat with your friend, and then you leave. On the first time through it’s a bit nerve-racking. You’re thinking “is there going to be a table free?” “Am I going to have to stand and eat?” But as soon as you have ordered, magically, a table is free. Never once did we see someone waiting for a table. It’s like a well-oiled machine with people coming, eating, and leaving, seamlessly, everybody enjoying the pasta and good company. Mike is an artist, making all the pasta fresh by hand. Like a true craftsman, he uses all vintage tools. His sauces are just heavenly. The simple Pasta Bolognese –which somehow, in the 1970s, evolved into bright red colored tomato sauce with a bit of minced meat thrown in–here is back to a perfectly dark and creamy burgundy color. Just like it should be. Mike uses chicken liver to make it smoother, which I only experienced once before, in Rome, many years ago. If you are a Bolognese fan, give this a try. It will be a whole new experience. At 3pm sharp, the line disappears as the last of the lunch crowd makes their way back to work. And Il Corvo closes shop for the day.